The last 2 weeks (ish) have been ridiculously crazy for me… Really the past month, but especially the past 2 weeks. 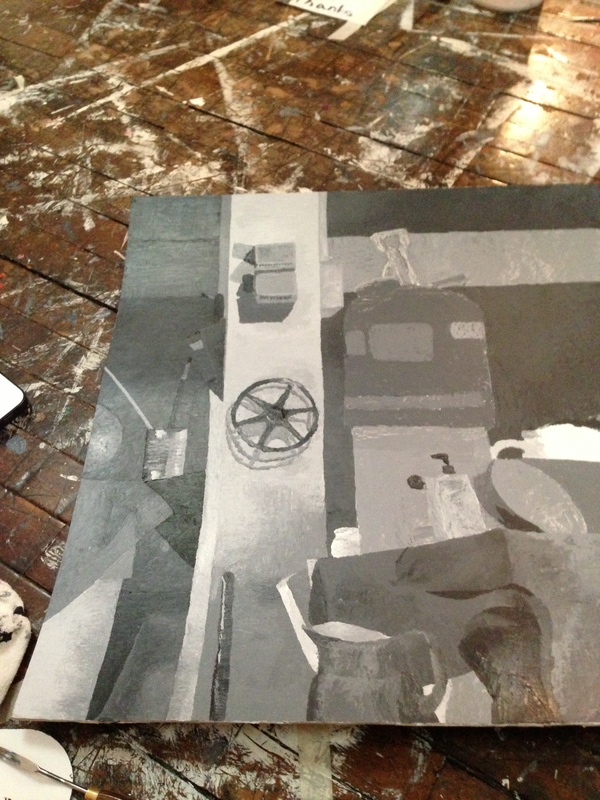 Not only am I working all the time this semester with a full course load, but I also had my painting midterm to do. The midterm has consumed me lately, so I thought I would share it. Before this past weekend, I had spent about 15 hours on it. I had a plan that I liked, but it was taking me much longer to do the easy stuff that I would have liked. 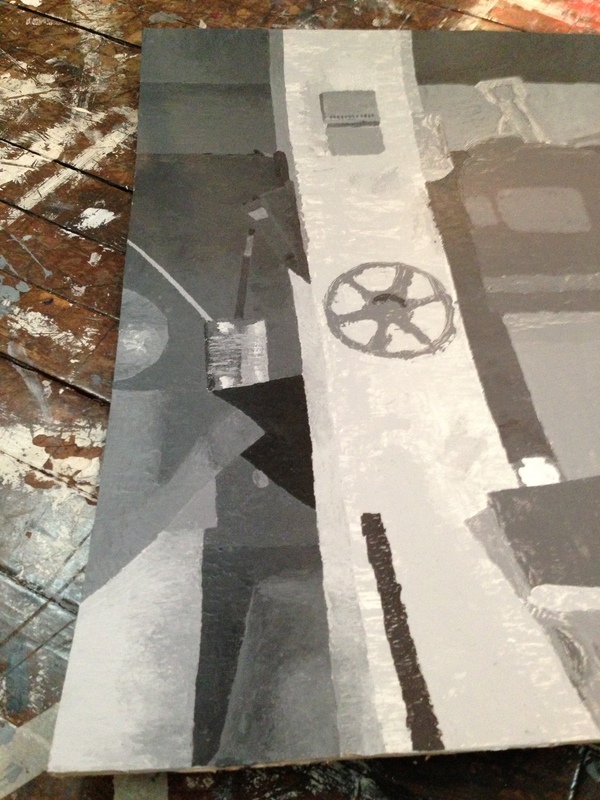 I knew that if the painting was going to come out to my standards, I was going to have to put a lot more time into it. 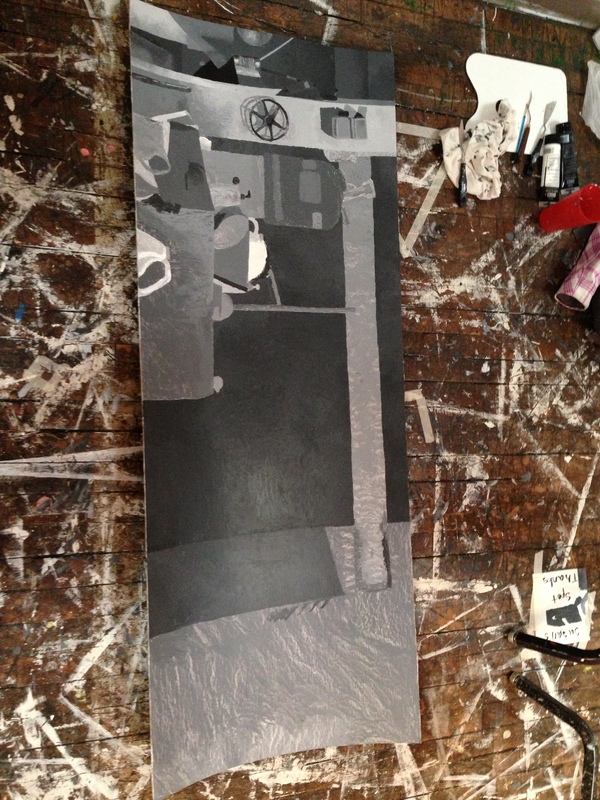 So, I resolved to spend all of my time in the painting studio last weekend. First, a picture for scale. 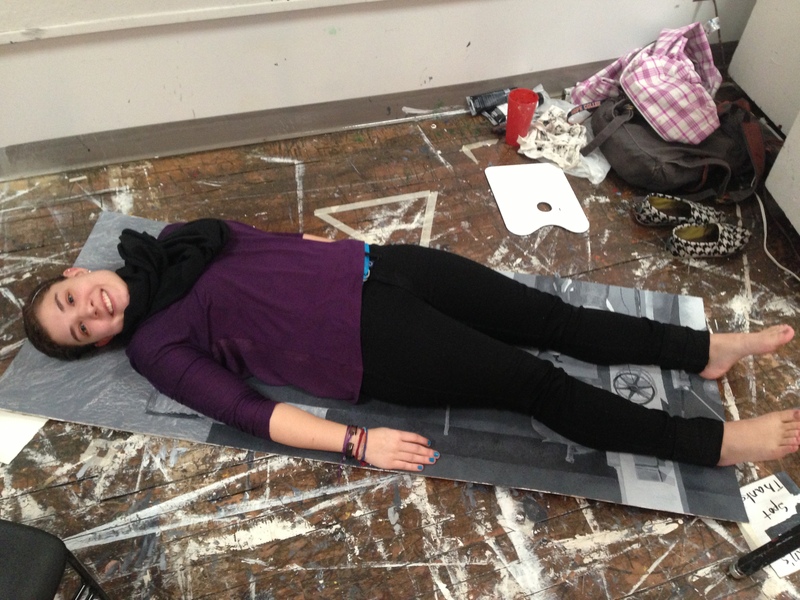 This is me laying on my “canvas” (backing board – like carboard)…. literally as big as me. When I stopped on Saturday, I had literally worked for 6 hours straight. I even ate lunch and dinner in the studio to keep working. When I finished working on Sunday, I had worked for 8 1/2 hours. I took a half hour break in that time to eat, otherwise I took no breaks from painting. 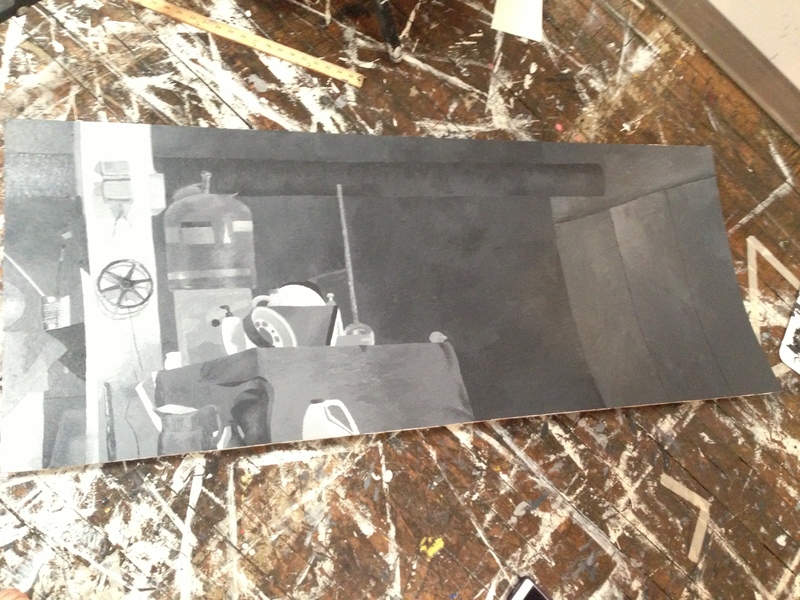 At this point I was wondering if I was going to finish the painting on time for the critique. I originally was going to have 2 more panels that only had the pole painted on them to “break the frame” so to speak. I also decided to scrape those at this point for the sake of time. I thought my painting was strong enough to stand by itself without the extra panels. I realize that this picture is not great (especially because the backing board is warped), and I will take a new one of it flat up on the wall which will hopefully represent the painting better. I will also try to get some detail shots. Overall I am very happy with how the painting has turned out and I have gotten lots of compliments on it. I did not think I could accomplish anything like this when I began the class. My painting has definitely improved ridiculously.